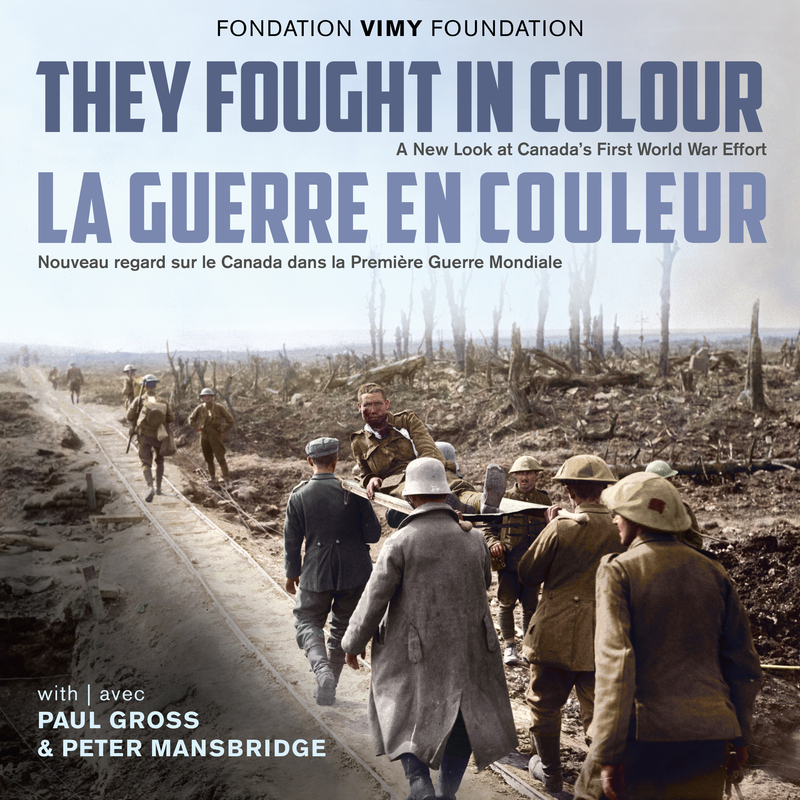 They Fought in Colour is a photographic exploration of Canada’s First World War experience presented for the first time in full, vibrant colour, with commentary from some of our country’s leading public figures, including Paul Gross, Peter Mansbridge, Margaret Atwood, Tim Cook, and many others. Canadians today see the First World War largely through black and white photography. Colourizing these images brings a new focus to our understanding and appreciation of the role Canada played during the First World War. It makes the soldier in the muddy trench, the nurse in the field hospital, and those who waited for them at home come to life. Immediately, their expressions, mannerisms, and feelings are familiar. They become real. They Fought in Colour is a new look at Canada’s experience during the Great War. A more accessible look. A more contemporary look. In bookstores October 6, 2018! Purchase your copy of They Fought in Colour at Indigo, Amazon, Dundurn Press, or your favourite bookseller. Colourized versions of photographs, copyright, Vimy Foundation. The Vimy Foundation grants royalty free permission to use colourized photos. Please contact us for permission and other requirements.